Blowing up administrative buildings captured by rebels in eastern Ukraine one year ago could have saved thousands of lives in the military conflict that followed, Ukraine’s interior minister told a TV channel. 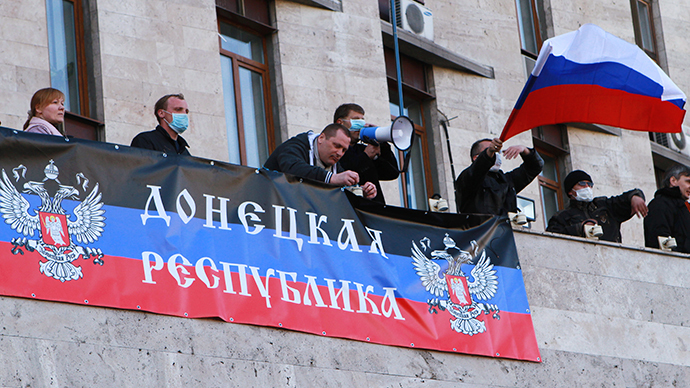 “Should have blown Donetsk administration to pieces [after it was captured by protesters]. There’d be 50 dead terrorists, but we wouldn’t have 5,000 deaths in the Donetsk region. Likewise should have been done with the Security Service headquarters in Lugansk (also captured by the rebels), but were we ready for this?” Minister Arsen Avakov told 1+1 TV channel, as cited by RIA Novosti. Avakov said that this statement is bad for him, as he is on the wanted list in Russia. “Arsen Avakov sees the main mistake of the Kiev authorities in not conducting mass murder of the protesters right after the conflict emerged. He means, in this case the others would have changed their minds. 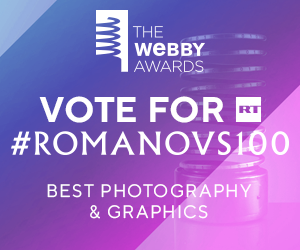 A truly cannibalistic point of view,” commented member of the Russia’s State Duma Franz Klintsevich, as cited by RIA Novosti. Kiev has “done the homework” and is now ready to return the rebel eastern regions at any price, without respect to possible losses among civilians, Klintsevich said. In early April 2014, public protests engulfed cities of Eastern Ukraine following a bloody coup in the capital Kiev that resulted in dozens of deaths. The citizens were protesting against the regime change and demanded a referendum on the federal status of the region and recognition of the Russian as a second language. Kiev answered demands by launching a punitive military operation against the rebel regions. Up to date, according to the UN data, more than 6,000 people died in the conflict. 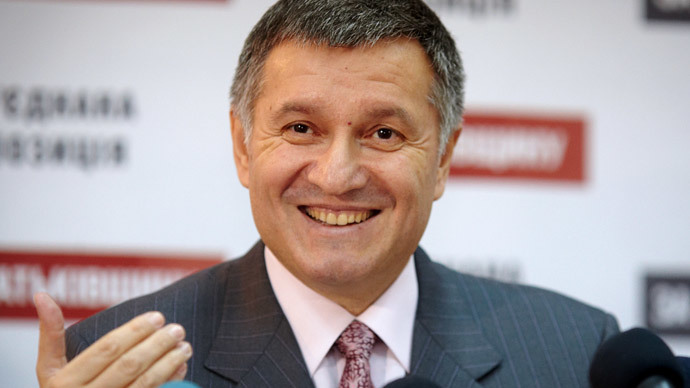 In June 2014 Russia’s Investigative Committee launched a criminal case against Ukrainian Minister of Interior Arsen Avakov and the former governor of Dnepropetrovsk, oligarch Igor Kolomoysky. 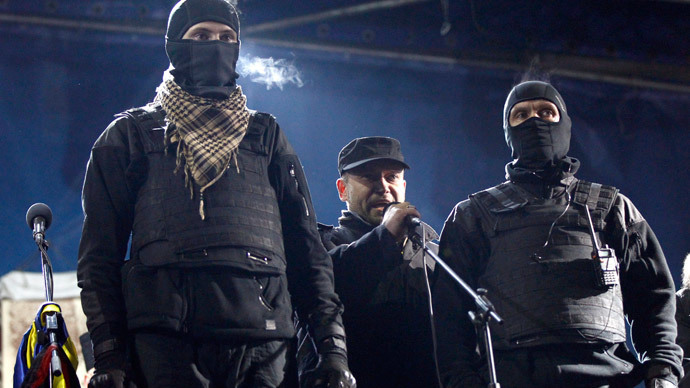 According to the Investigative Committee’s information, starting from April 12, 2014, Avakov and Kolomoysky organized and managed the military operation carried out by the Ukrainian military, the special forces of the Ukrainian Interior Ministry, the National Guard and militants of the ultranationalist Right Sector organization that formed volunteer battalions, several of which have been continuously financed by Kolomoysky. The notorious leader of Ukrainian ultranationalists, the head of neo-Nazi Right Sector movement Dmitry Yarosh, has been invited to join the country’s Defense Ministry. The invitation came directly from the President Petro Poroshenko, who has just fired billionaire Dnepropetrovsk governor Igor Kolomoysky, who owns a private army of his own. According to Geraschenko, Yarosh could start organizing a Volunteer Defense Union “similar to systems already existing in Estonia, Finland and Switzerland,” Geraschenko said. A member of the Ukrainian parliament, Dmitry Yarosh was wounded in January in the warzone in eastern Ukraine. Russia issued an international warrant for the arrest of Yarosh in July 2014. He is wanted by Russia’s Investigative Committee in connection with several criminal cases, including calling for terrorist activities on the territory of the Russian Federation.